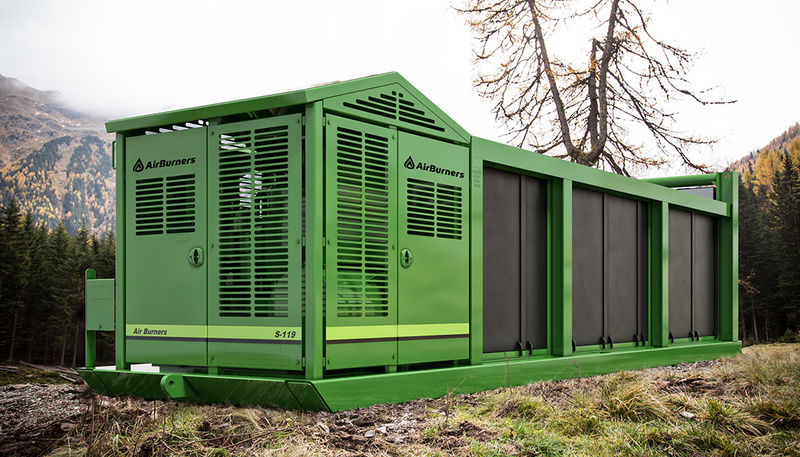 Get the equipment that pays you back with a power generator PGFireBox® from Air Burners that both burns wood waste and creates electricity to use onsite. 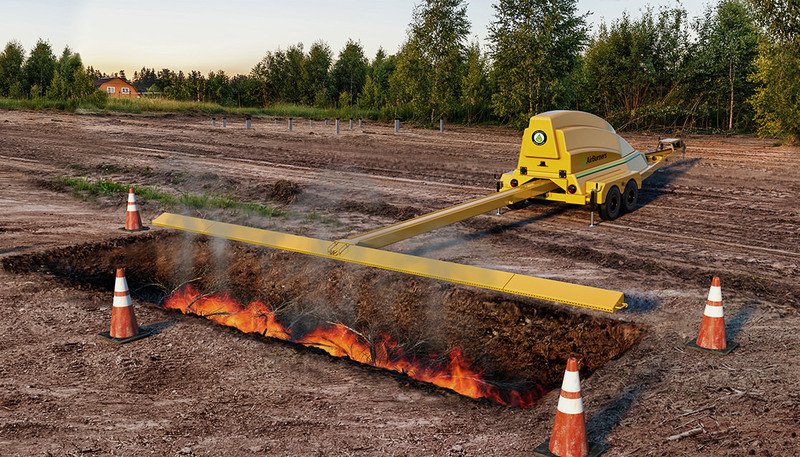 Since the invention of fire, man has been using burning techniques to clean up his messes and to clear land for future productivity. 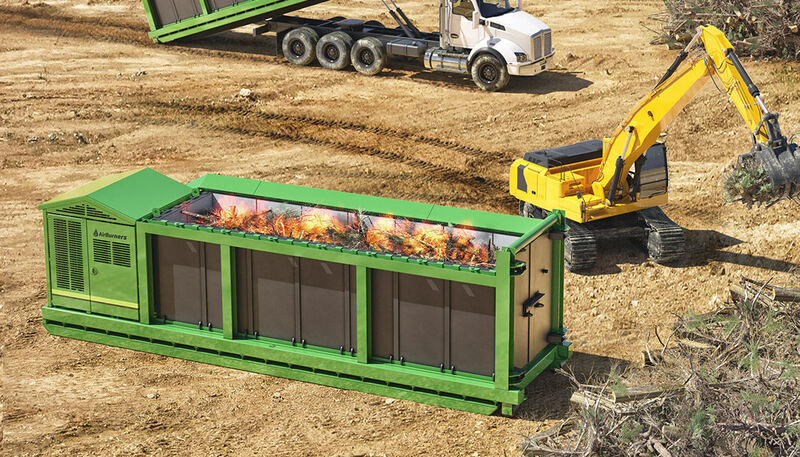 More recently, technological advancements have transformed the arduous and ineffective process of burning slash piles, construction waste, yard waste, storm damage clean-up and more. 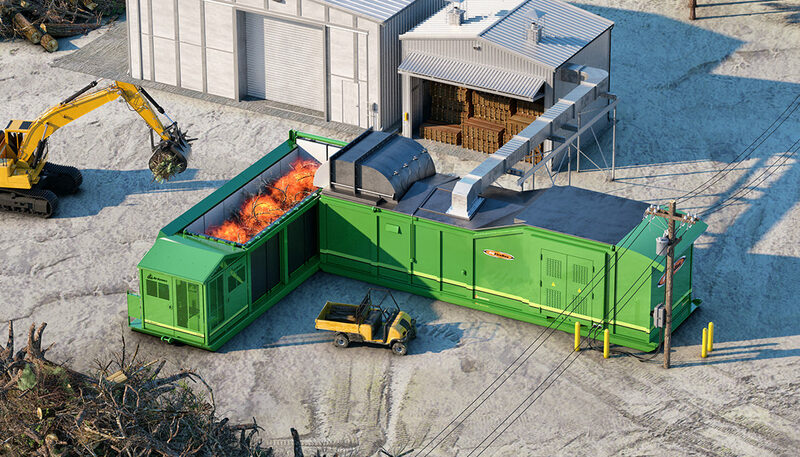 Taking this new technology and pairing it with a mobile burning system, the craftsmen at Air Burners, Inc.® manufacture a machine that can handle even the biggest waste wood clean-up jobs with ease. 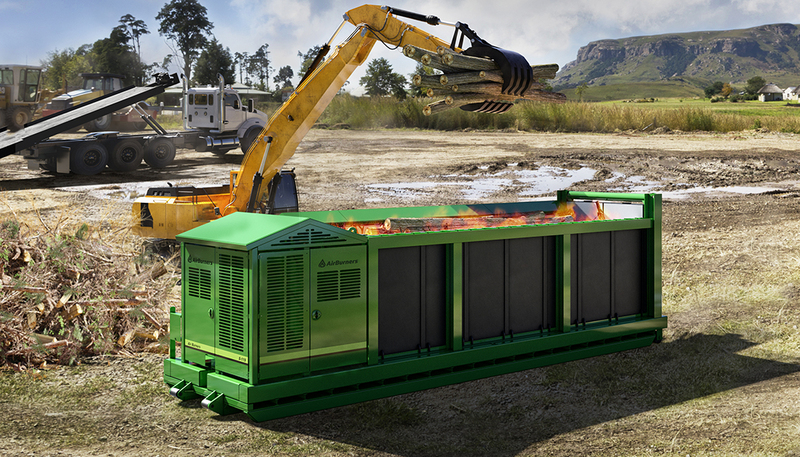 This technology, called Air Curtain Burners, has taken controlled burning to a new level. Downed tree limbs, dead standing trees, scraggly brush, old pallets, scrap lumber, tear-out walls or roofs, invasive plants and slash piles are all viable candidates for air curtain burning.